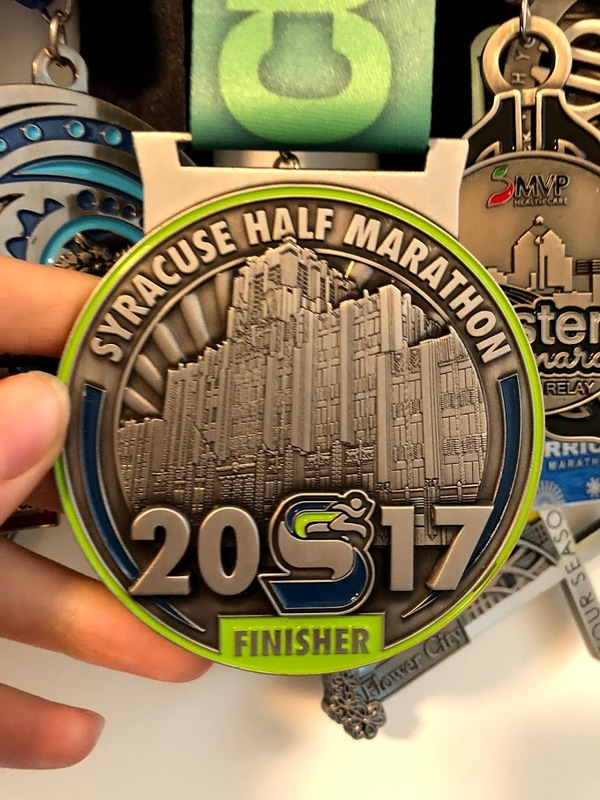 Syracuse Half Marathon -This one was also cold, but not snowy and with a great course. 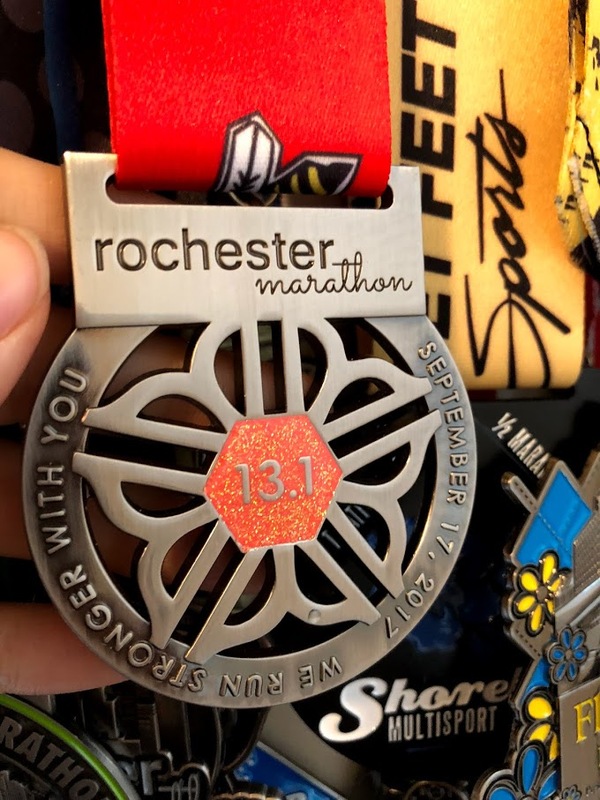 In fact, the Syracuse Half was run twice this year as after the race in March, the organizers moved it to November as a fall event. This course was hilly but had a mile and a half of downhills, which was absolutely amazing! Flower City Half Marathon -This gem in Rochester in April is one of my favorites. It's a hilly and challenging course that runs through my favorite parts of the city, including a block from where Nicole and I used to live. It's a lot of fun and the medals are always pretty. Tinker Bell Half Marathon -There was something so magical about being in and running through Disneyland. 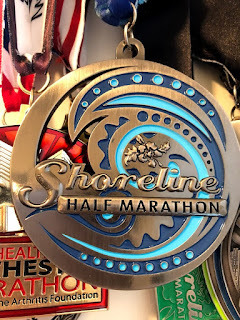 This was exciting as it was also my mom's first half marathon and the first leg of our coast to coast adventure. I just hope they bring back the Disneyland races at some point. 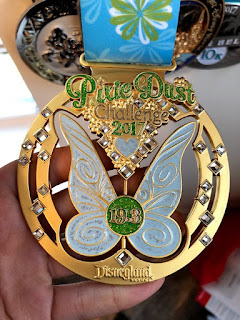 Pixie Dust Challenge - For completing the Pixie Dust Challenge (10K + Half Marathon), I received this gorgeous medal. 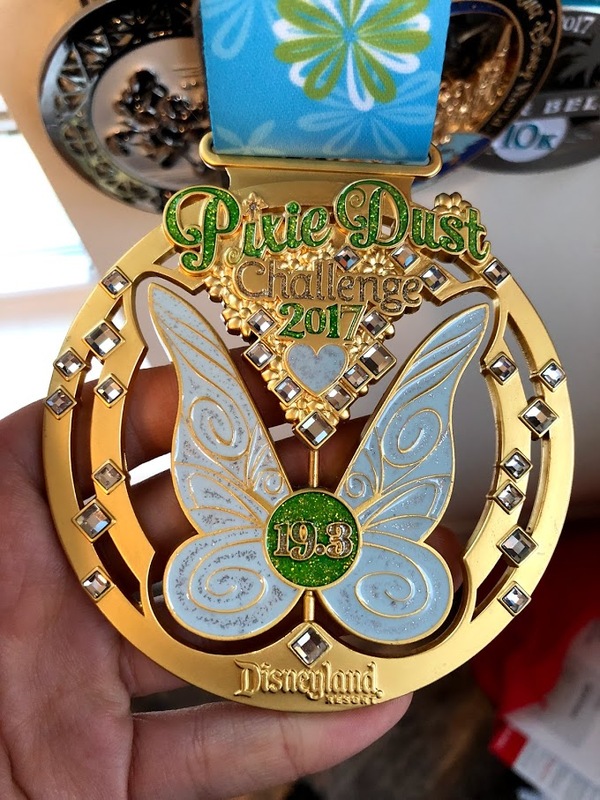 When Pandora is designing the race medals, you know they're going to be beautiful and this is one of my favorites! 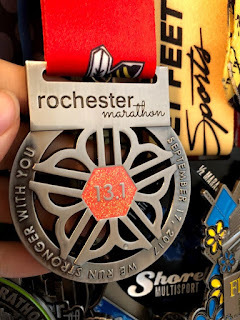 Cedar Point Half Marathon -If you've been reading this blog, you know why this race was so special to me. The cute Snoopy in a roller coaster car is just icing on the cake! Shoreline Half Marathon -Historically, this has been the race where I set my PRs and this year was no exception. I finally got under the 1:35 barrier for the half marathon and finished fourth overall. The bonus was that Nicole and I had tickets to see Idina Menzel in concert the night after! Virtual Running Shorts Series -My mom and I signed up for the virtual runs series this summer and ran all three 5Ks together to earn this Pluto medal at the end of August. 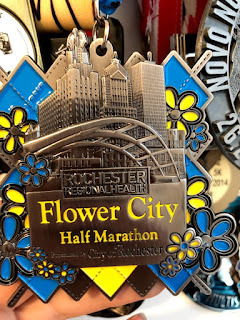 Rochester Half Marathon -This race completed the four seasons challenge for me. One day I will conquer this course and plan appropriately for ALL.THE.HILLS. but that was not this year. 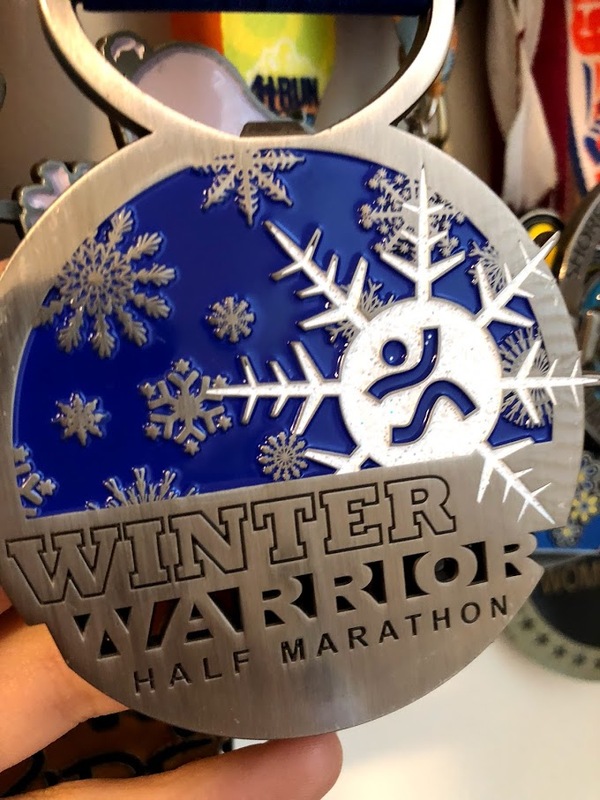 This race was a tough one and the medal was well-earned. Oktoberfest 5K -Since I have been running mainly fleet feet races and they give glass plaques for their age group awards, I haven't seen an age group medal in some time. 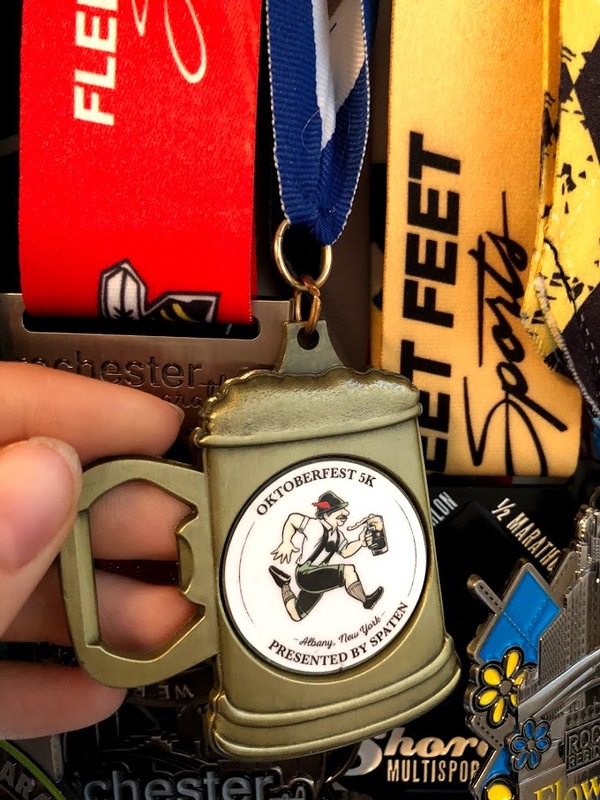 However, I was able to receive this one for finishing first in my age group at the Oktoberfest 5K. It's also functional as it doubles as a bottle opener. 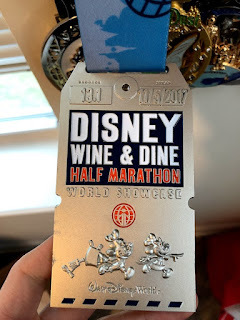 Wine and Dine 10K -It was so nice to run a different 10K course at Walt Disney World and this race was a lot of fun. 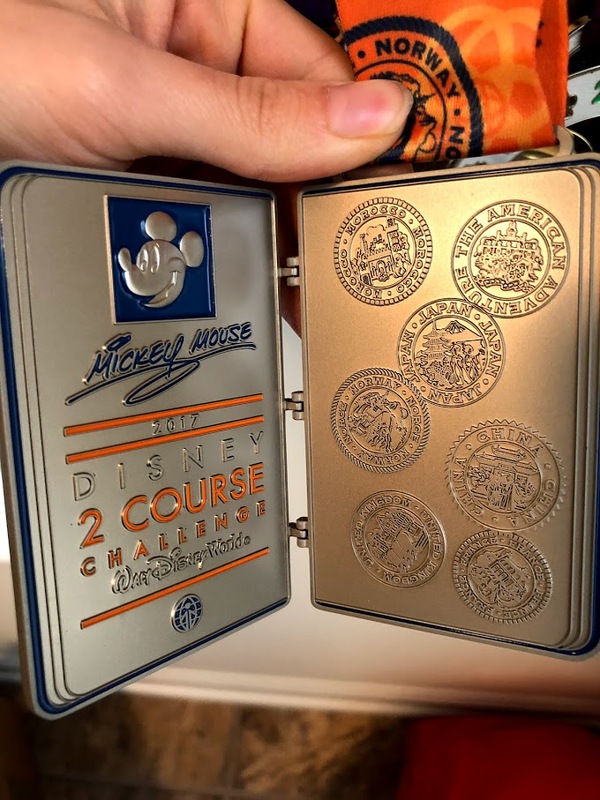 I love the cute Chef Mickey on the medal and that it looks like a luggage tag. Wine and Dine Half Marathon -While at first glance I wasn't the biggest fan of this medal, the more I look at it, the more I like it. I love that runDisney is trying to do different things with their race medals and tying them to the theme. This one also gets bonus points for being Nicole's first half marathon. 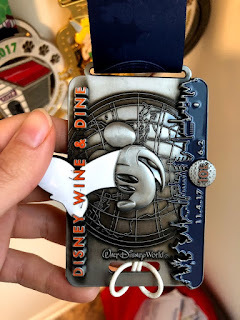 Wine and Dine Challenge -The challenge was the second leg of my coast to coast medal and this medal is so cool! 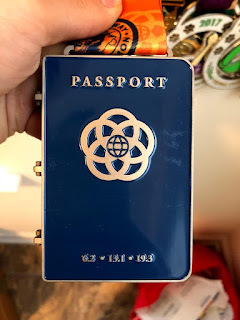 I love that it opens into a passport with the food and wine booths of world showcase. 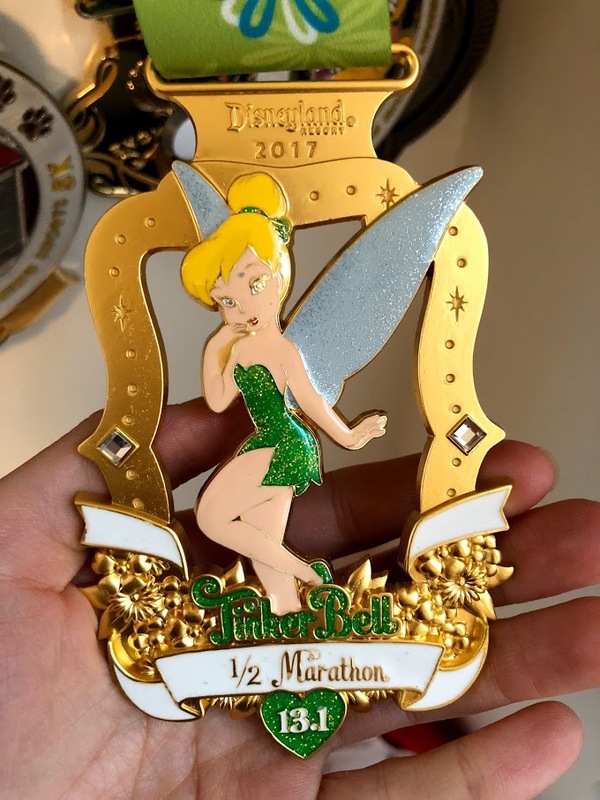 It's truly unlike any other medal that I have! 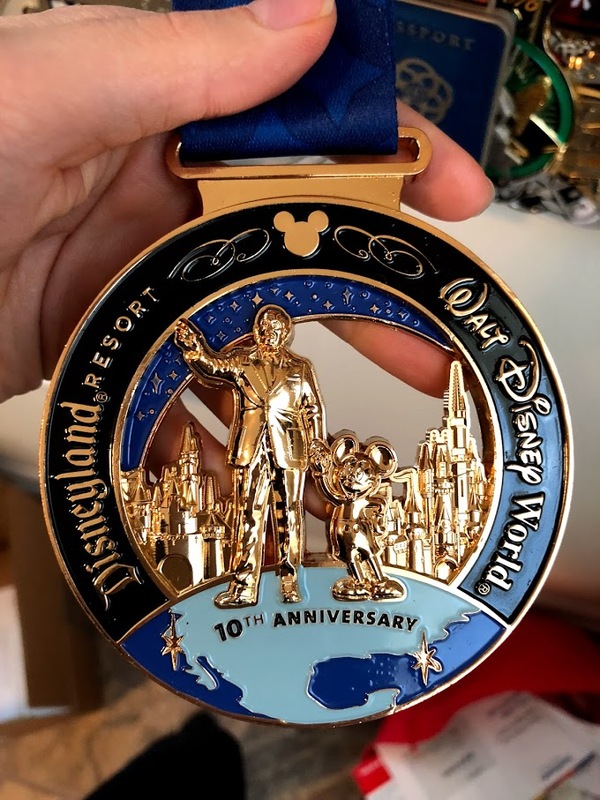 RunDisney 10th Anniversary Coast to Coast Challenge Medal -Even though I'm writing a whole post about the medals from this year, I've never really been super excited about race medals...except for this one. The partners statue in Magic Kingdom is one of my favorite places and the second I saw this medal when I started running Disney races five years ago, I knew I had to have it. I'm so glad that my mom and I took the plunge this year and got these. 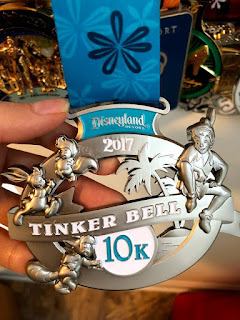 With Disneyland races on indefinite hiatus, who knows when there will be another chance for this one? When they come back, I know I'll be making a trip to California to run in the happiest place on earth again! How special to get a 10th Anniversary Coast to Coast medal. And probably the last one. Since they are doing away with the races in California unfortunately. I'm holding out hope that they come back someday, but it was special to be there this year! What a fun year of medals!! Congratulations! Ugh the following the leader song...I will never get that one out of my head! Haha! 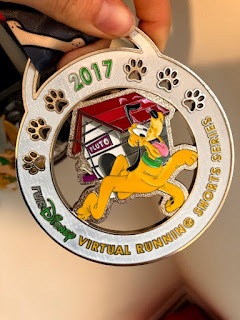 That was a fun race, though...loved all the park time! Thanks! 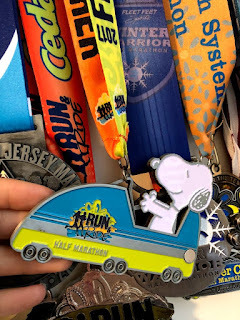 It was a fun year of running! I loved all the park time in Disneyland...hopefully someday the races come back!